Hey look, I learned how to use my camera, at long last!!! 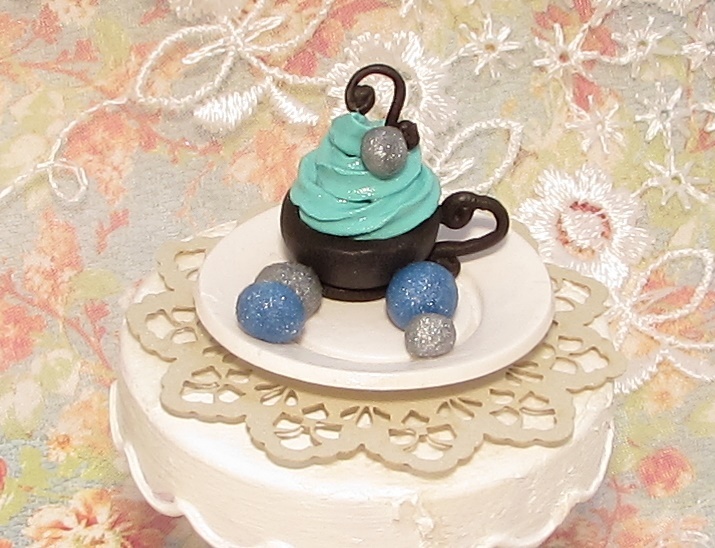 The cup, ice cream, curly cues, shiny balls, and plate were very meticulously made out of polymer clay. 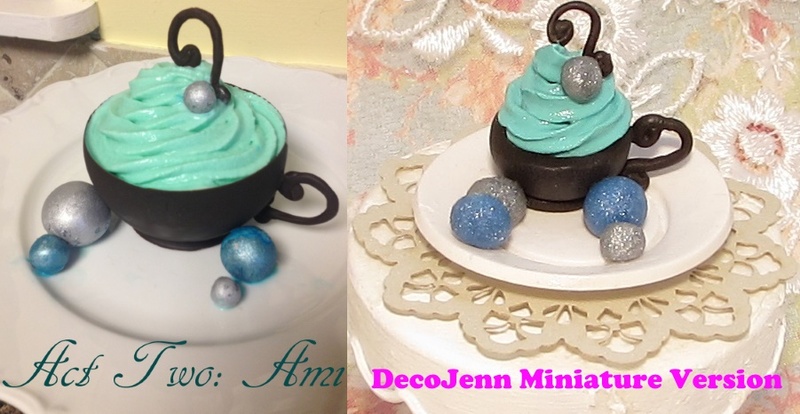 On the left is Katharina’s original dessert, and on the right my chibi version. 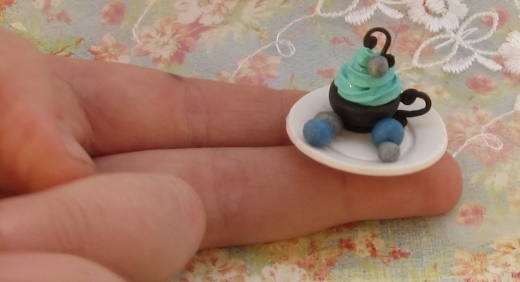 What is this, dessert for ants!? 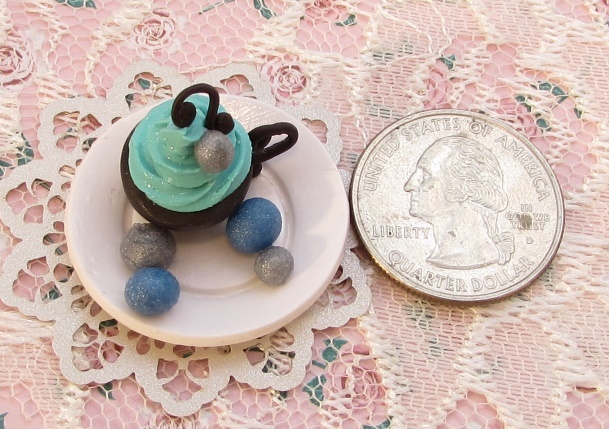 Here you can get the jist of the actual scale, my tiny hands don’t really do it justice. Back and side view. The piece is entirely 3 dimensional. Thanks for checking out this post! Take it easy, my friends!